STOP THE CAR! 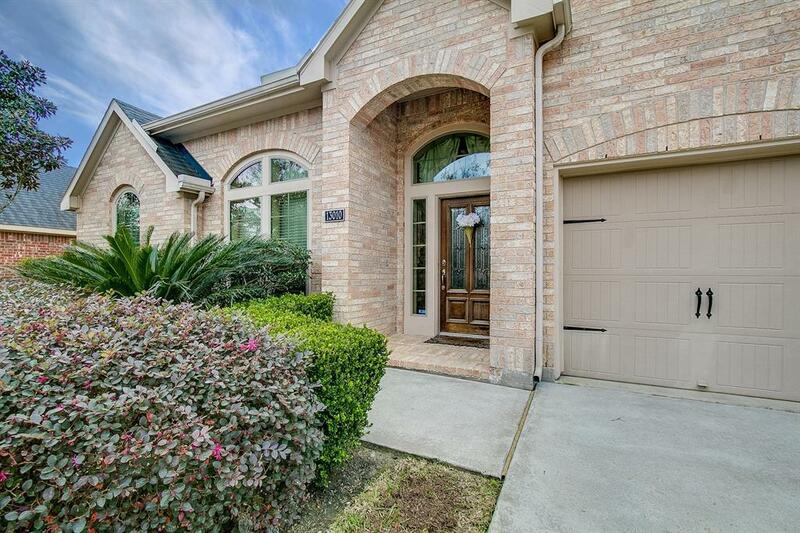 This luxury one story home features 4 bedrooms/3 baths/3 car garage/excellent location on a quiet cul-de-sac street! 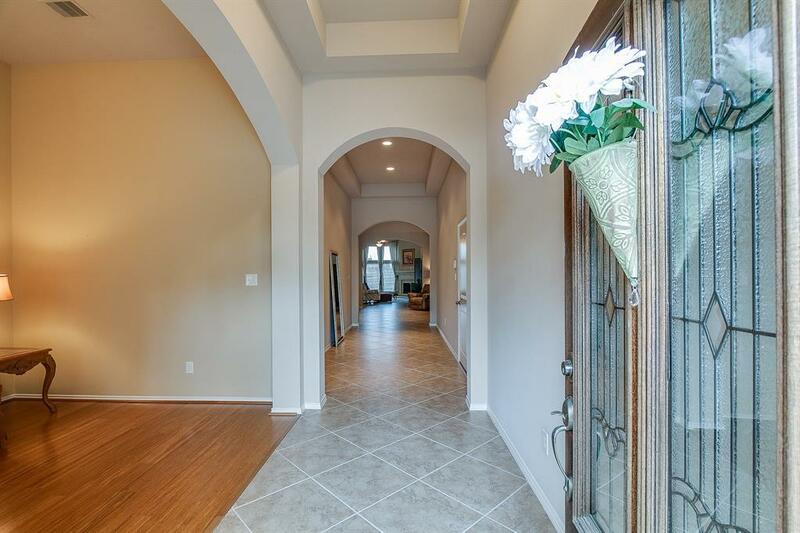 You will absolutely love the dramatic entry w/ coffered ceilings. 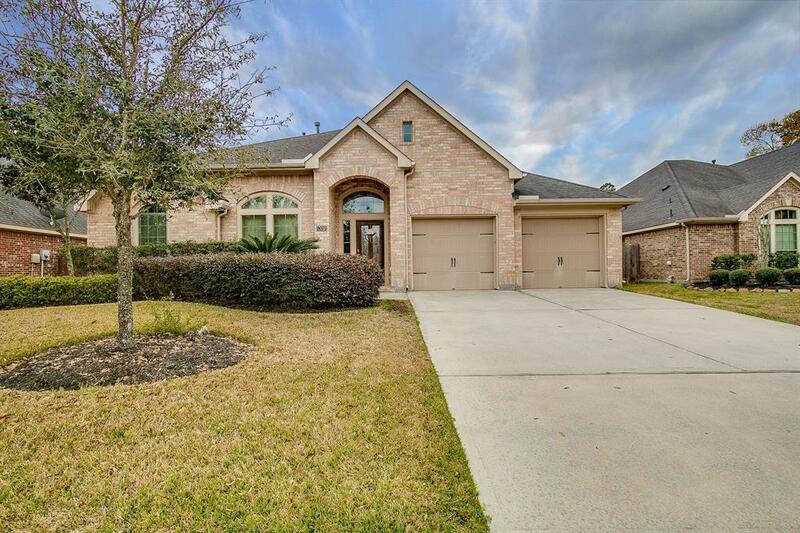 This home has it all...beautiful hardwood floors, ceramic tile, tons of windows, custom drapes, high ceilings, upgraded light fixtures & more. Kitchen features SS appliances, granite countertops, gorgeous cabinets & a huge island. Refrigerator is included! Family room has a wall of windows, beautiful fireplace & an open concept. Master suite & private bath features a garden tub, separate shower, his & her walk-in closets w/ dual vanities. Home also includes a private guest suite w/ full bath, covered patio, lush landscaping & so much more. Home is perfect for entertaining and shows like a model! Community amenities include a fitness center, swimming pool, tennis courts, walking trails & more. 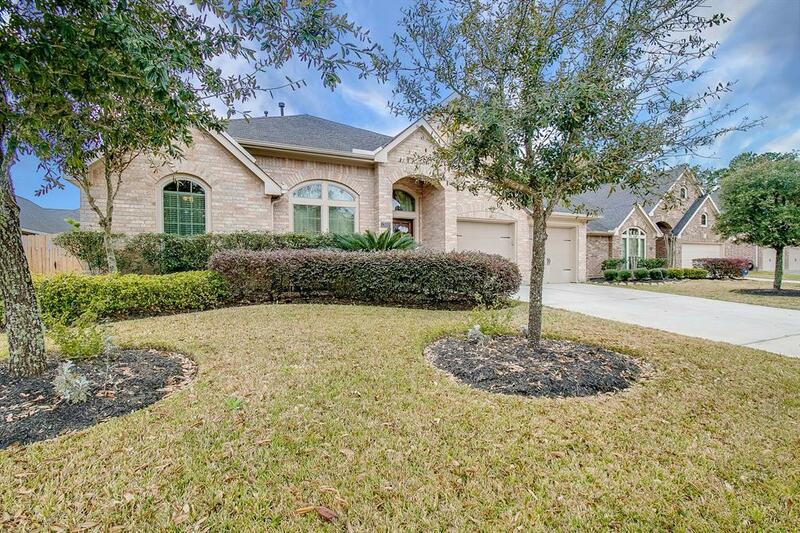 Walking distance to the elementary school & Lone Star College. You do not want to miss this one!